Organizations must complete the Donation Request Form to be considered for a donation. Mailed/phoned/e-mailed/faxed requests will not be accepted. Please allow at least three weeks for your request to be processed. Organizations are limited to one (1) request per year. Please do not send duplicate requests. Due to the high volume of requests, we limit our donations to organizations in the St. Louis area. What is Tower Grove Park's standard donation? Each request for a donation will be mailed one certificate for a 45-minute horse carriage ride good for up to 4 adults, valued at $65. We will fulfill one donation request per organization, per year. Can organizations publish Tower Grove Park's name as a donor? No. The donation of this certificate does not constitute the endorsement of any organization or the sponsorship of any event. 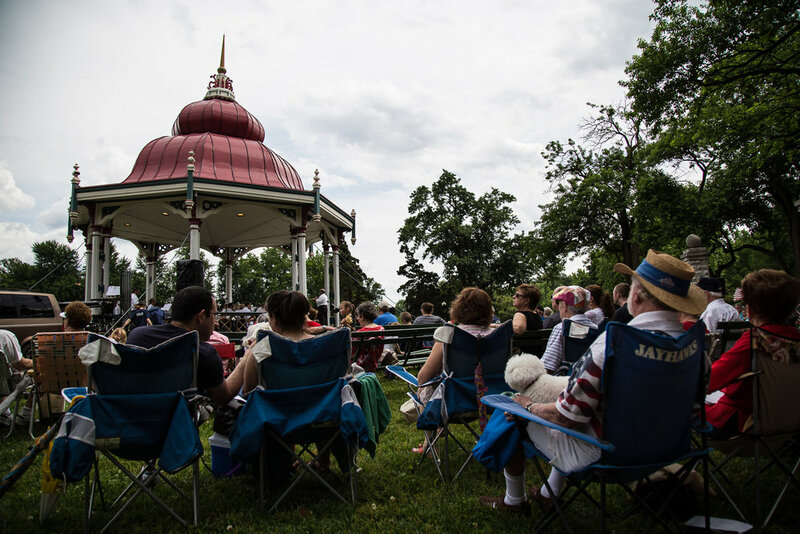 The requesting organization may not use Tower Grove Park's name on any printed or digital materials or recognition of any sort. Should organizations send a confirmation letter? No thank you or acknowledgement is necessary--we'd rather you conserve paper. Tower Grove Park does not donate certificates to political organizations or political action committees. Tower Grove Park reserves the right to grant or deny donation requests as we deem appropriate.